From a young age, you’re taught about energy usage. Your parents would tell you to do little things around the house to save money like taking shorter showers or turning off the lights. Now that you’re older, you understand why you want to conserve energy. However, many homeowners don’t realize that they’re not conserving as much energy as they should. Their monthly bills could be much lower and they could be saving a boat load of money each year. Thankfully, we’re here to help. We’ve come up with 9 tips to conserve energy and lower the cost of your energy bills. You’ll be saving more and more money each month. When you were young, your parents probably told you to turn off the lights when you left a room. If you have children, you probably do the same with them. Everyone on Earth knows that you can save money on your energy bills by turning off the lights when you leave the room. The question is how much money do you save by turning off the lights? It might not sound like a lot, but turning your lights off for a weekend trip could save you 41.6 cents. Keep in mind, that’s only 2 days and 4 light bulbs according to the simple dollar. Consider how much that changes when you forget to turn the lights off while you’re home and at a year long interval. You could end up saving hundreds each year. Also, many homeowners don’t think about the light bulbs they get for their home. As long as it lights, you’re happy. But, what if we told you that not all light bulbs are created equal? A traditional incandescent light bulb uses way more power than an LED bulb. LED bulbs last 25,000 hours and cost $34 over a 20 year span. Compare that to the 1,200 hours and $211 over 20 year cost of an incandescent bulb. That’s with just one bulb – consider how much you would save with all LED bulbs in your entire home. You most likely have seen the Energy Star sticker on products. It’s a blue square that says, “Energy Star”. You may not know what it means, but it’s extremely important and can help you conserve energy in your home. These stickers mean that the product is more energy efficient that its competition. You can find these stickers on anything from TVs to dish washers meaning that they use less energy. This is especially important for large appliances that are always in use – such as a refrigerator. You’re probably thinking, “How on Earth can my windows save me money on my energy bills? They don’t use power.” While your windows don’t use power, they can prevent you from using it. Having windows in a room means that you’re allowing natural light into the room. In other words, you won’t be relying on artificial light during the day, preventing you from turning on the lights, saving you money. The material of the window will also help conserve energy. 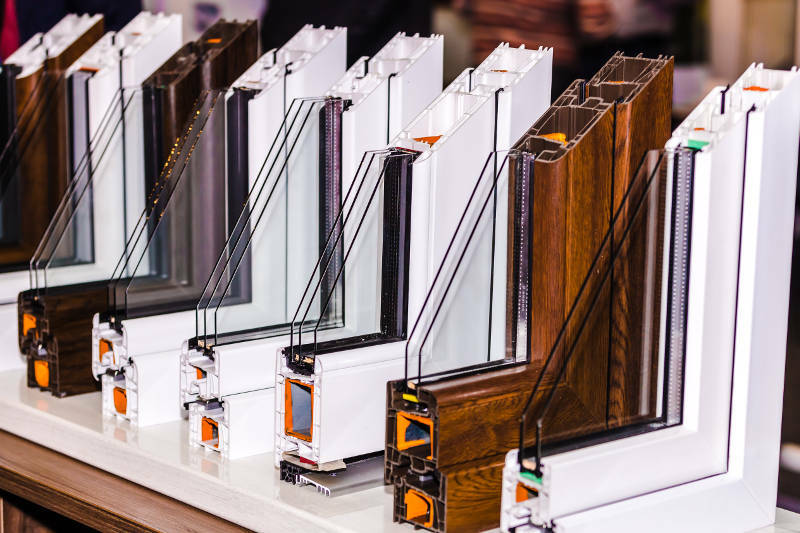 Wood and aluminum windows don’t have the same ability as vinyl. 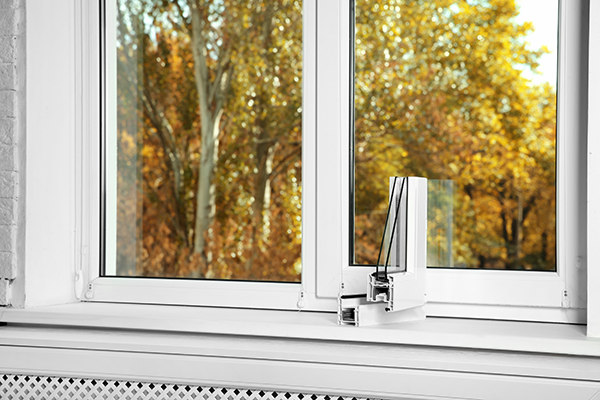 The foam insulated frames in vinyl windows help create an airtight seal and prevent heated and cooled air from escaping. What this does is lower the stress on your furnace and air conditioner. They won’t have to work as hard to reach your desired temperature, meaning you won’t have to spend as much on your electric or gas bill. 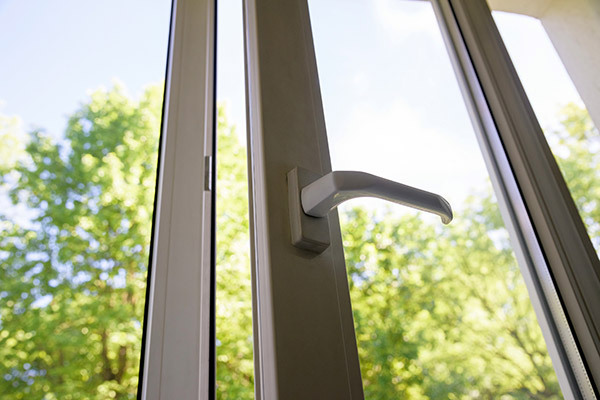 To further enhance a window’s energy efficiency, make sure the glass is double pane and argon gas-filled. Argon is denser than normal air, making it difficult for it to escape through your windows. Much like TVs and kitchen appliances, windows can also have an energy star sticker meaning they’re the best of the best in energy efficiency. So before you replace your old windows, look for the blue, square sticker. Just turning on the heat or air in your home might scare you. Think of how high the energy bills will be when you have to run your air conditioner all day. However, you can conserve energy by lowering it just a couple degrees. When you lower the temperature, it reduces stress on your air conditioner. While you might notice the small difference in temperature now, you’ll love the huge change in the cost of your electric bill. You can do the same for your furnace as well. Rather than cranking up the heat, keep it a couple degrees cooler and watch your gas bills lower in no time. It probably sounds like a pain adjusting your thermostat constantly just to save some extra money. Why not program it so you never have to worry about it again? You can get a programmable thermostat for your home so you can set your schedule making it easier to save money in your home. When you’re not around or are asleep, you can turn off the heat or air since you won’t be home or awake to enjoy it. Then, schedule it to come on when you’re heading home so your home will be comfortable when you get there. Some smart thermostats, like the Nest, can actually tell if you’re not at home and will turn itself off when you’re not there. It does this by sensing nearby motion. That might scare you because if the thermostat isn’t in a high traffic area, then it’ll to shut off frequently. Don’t worry, you can adjust it from your phone to get your home to the perfect temperature. Many people think that turning off electronics when they’re done using them means that they’re no longer using power. What if we told you that as long as they’re plugged in, they’re using power in your home? This is called standby power and everything that you have plugged in right now is using it. While it’s not much at all, it still can have a major effect on the cost of your electric bills. Think about it, how much do you have plugged in while you’re reading this? The only way to stop standby power from effecting your electric bills is to unplug your electronics. That might seem tedious unplugging every single plug in your home so we suggest using power strips. It’s an easy way to unplug and plug in everything all at once. 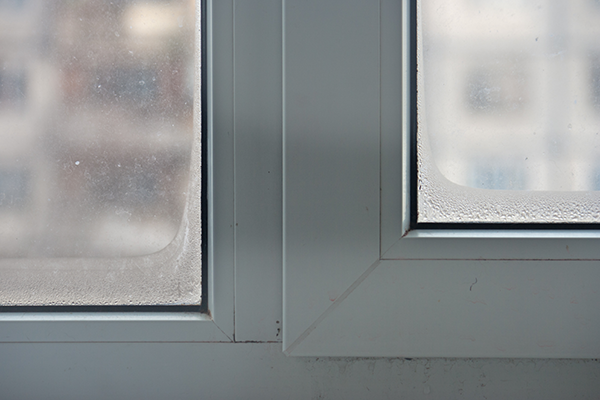 Much like your windows, an old, worn out door can cause a lot of problems for your home’s energy efficiency. If it’s not aligned properly or isn’t insulated, you’ll feel drafts getting into your home. This will cause a lot of stress for your furnace and air conditioner. The key is to get a steel or fiberglass foam insulated door. This means the core of the door has foam insulation to prevent drafts from getting in. Wood doors don’t have the same insulation as steel and fiberglass so you’ll still feel a draft. Also, wood doors warp and rot when exposed to moisture which can cause gaps between your door and the frame. Steel and fiberglass won’t have that problem so you don’t have to worry about rain and snow causing problems for your home. If your home has an attached garage, it’s extremely important for you to have an energy efficient garage door. Rooms that share walls with your garage will be affected and it’ll add pressure on your furnace and air conditioner. To conserve energy in your home, get a steel garage door. The steel garage doors are thicker than wood and aluminum which helps keep drafts out. Also, you can get foam insulation in your garage door, creating an insulated barrier to ensure your garage is comfortable. Limiting the amount of hot water you use will help you conserve energy as well. When you warm your water, you’re forcing your water heater to work harder which means the cost of your gas and electric bills will rise. There are ways to limit the amount of hot water you use. For starters, when you use your wash your clothes, set your washer to cold or warm instead of hot. The lower temperature will help save money on your bills. Other ways to lower your hot water usage would be to take shorter showers, use your dish washer sparingly and reduce the temperature of your water heater to 120°F. Did you know that heat rises? That’s why your downstairs is often colder than your upstairs. That being said, if your attic isn’t well insulated, the heat will rise up and out of your home through the roof vents. 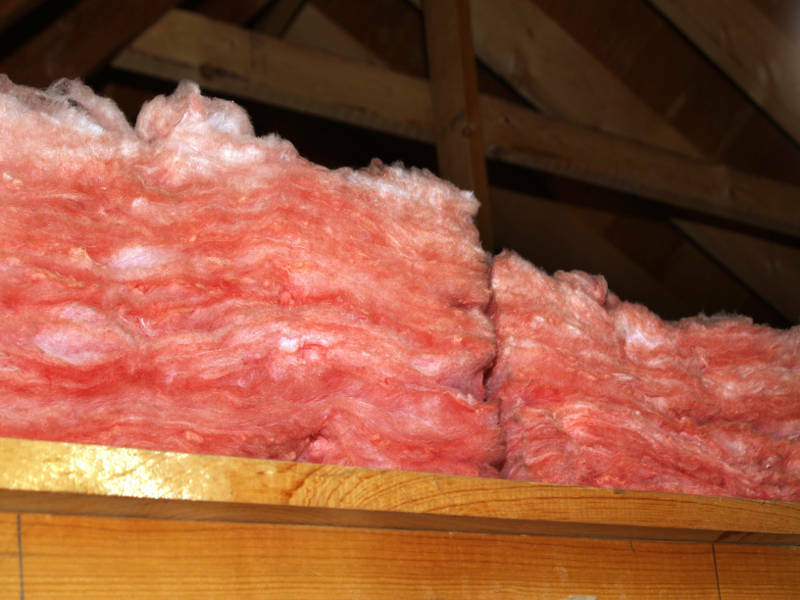 You need to make sure that your attic is insulated with fiberglass. It’s a dense material that will keep your heat out of the attic and in your home. This will ensure that your furnace doesn’t have to work as hard to reach your desired temperatures, conserving energy in the process. Did you know that up to 30% of your home’s heat escapes through the walls? It seems crazy to think that your home’s exterior can help you conserve this much energy. Vinyl siding does just that for you thanks to a foam insulation board that can be installed beneath the panels. Think of it like a large blanket for your home that helps trap the heat inside, keeping you warmer throughout the year. Also, imagine how much money you’ll save on your energy bills since you’re able to keep up to 30% of your home’s heat inside. This is especially important during the fall and winter months because Green Bay can get very cold. Wood siding isn’t a great option because it warps and rots when exposed to moisture. This will create gaps between the siding panels which makes it easier for outside air to get into your home, adding pressure to your furnace. Aluminum siding is a fine option for the winter but becomes a major problem in the summer. 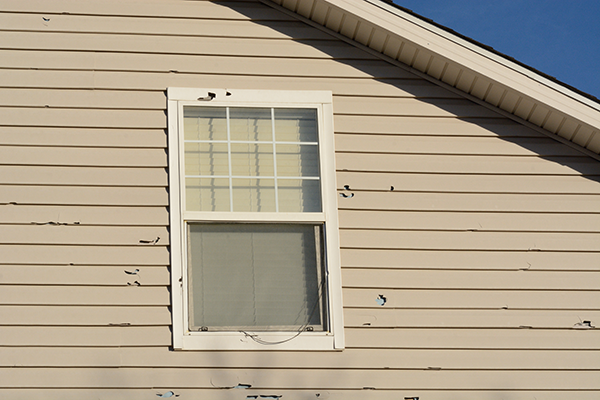 Aluminum absorbs heat which will make your siding hot to the touch. The heat will radiate throughout your entire home, adding a lot of pressure to your air conditioner. Vinyl won’t have this problem thanks to its resistance to heat and the foam insulation board keeping your cooled air inside. It’s very important to conserve energy in your home. Not only will it save you money, but some of these changes will help keep your home more comfortable throughout the year. There are many changes you can make to help reduce your energy usage. 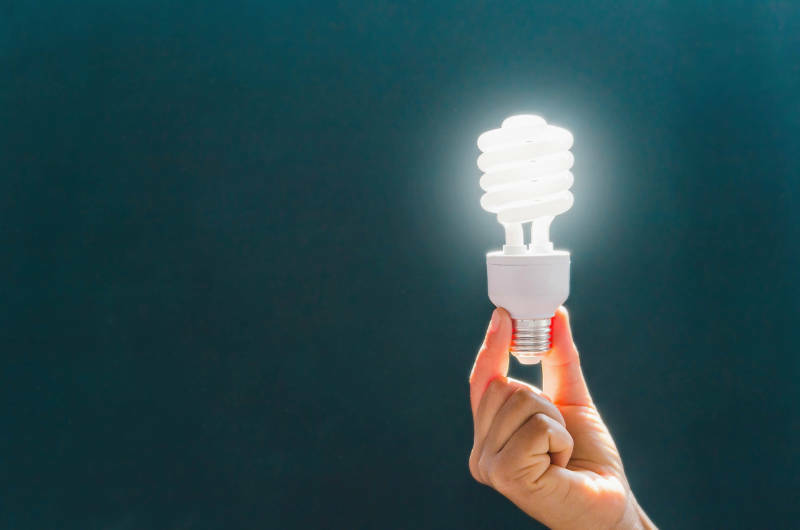 It can be as easy as just turning off the lights or a major project like replacing all of your kitchen’s appliances with energy efficient ones. Feldco is here to help you conserve energy. We offer vinyl windows and siding, fiberglass and steel doors as well as steel garage doors for Green Bay homeowners. All of these products are designed to reduce your home’s energy usage and keep your home comfortable year round. Now’s the time to get a free quote from Feldco. We’ve helped over 350,000 homeowners with their home improvement needs since 1976 and would love to assist you with your next home remodeling project.